Need a home inspection in Kensington? Kensington, Connecticut is a small CDP (Census-Designated Place) located in Hartford County. It’s technically a part of the town of Berlin, which is located next to New Britain, Southington and Middletown, CT. As of the most recently-available census data, the population of Kensington was about 8,500, so this community comprises nearly half of the population of the town of Berlin. The economy in Kensington and Berlin is quite strong. The median family income in the area is $76,756, which is much higher than the national average. Unemployment is low, and only 1.4% of families and 2.5% of the population live under the poverty line. A few of the biggest employers in the area include Comcast, The Home Depot, Parker Hannifin, and Eversource Energy. The Town of Berlin also employs over 600 residents. Transit in Kensington and Berlin is primarily car-based. However, the area is served by CTtransit and the Hartford Line, and there is also an Amtrak station in Berlin, providing passenger rail service. Major highways and roadways in the area include US Highway 5, and State Route 9, as well as I-691 and I-91, which provide access to Hartford and New Haven. Education in the area is provided by Berlin Public Schools, which operates three elementary schools, one middle school, and one high school. Private schools Mooreland Hill School and Saint Paul School are also located in the area. Want more information about Kensington, Connecticut? Not sure that this is the right place for you? We’re here to help. For further information that you can use to make your decision and plan your move, take a look at the following links and resources. Ready to make your move? Looking at houses in the Kensington and Berlin, CT areas? You’ll need an experienced, qualified, and professional home inspector on your side. If you need a home inspector, you can contact the team at Renovee Inspections right away – we’re always here to help. 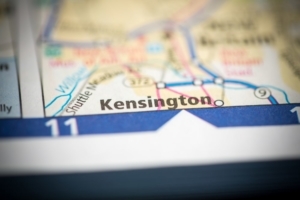 Schedule your appointment online, and let us make sure you find the perfect home in Kensington.